In exclusive cooperation, uvex attuned the patented BOA adjustment system specifically to usage in cycling. The flexible individual parts can be ideally adapted to individual head shapes. 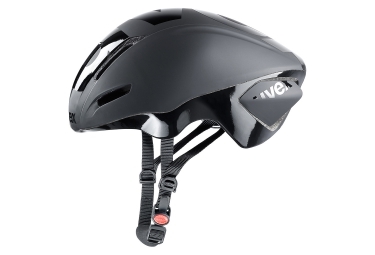 In connection with the monomatic FAS lock system, the uvex EDAero is comfortable to wear without pressure points and safely stays in the right position in case of falls.